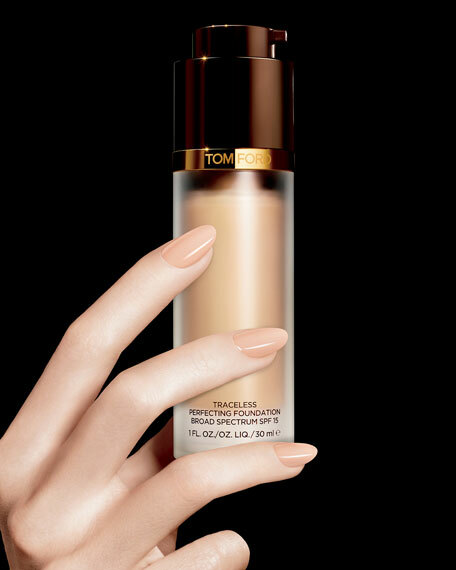 This natural-finish, long-wearing, humidity-resistant foundation moisturizes and evens skin tone creating a flawless, supple and pore-less canvas on which to sculpt the features. Its state-of-the-art nourishing formulation includes the Tom Ford infusing complex. diminishes the appearance of fine dry lines. SPF broad spectrum sun protection shields skin from UVA/UVB damage. Slip on a silk-enriched makeup. Feel naked, yet covered to perfection. Control shine, yet hydrate where needed. Protect with SPF.